Swancon being Western Australia’s premier science fiction convention, don’t you know. Yes, next year I will be in Perth, round about Easter-time. It’ll be fun! And if you’re in Australia, you should pop by. I mean, everything in Australia is close to everything else, right? I stand by every word, especially the words about the Tim Tams. 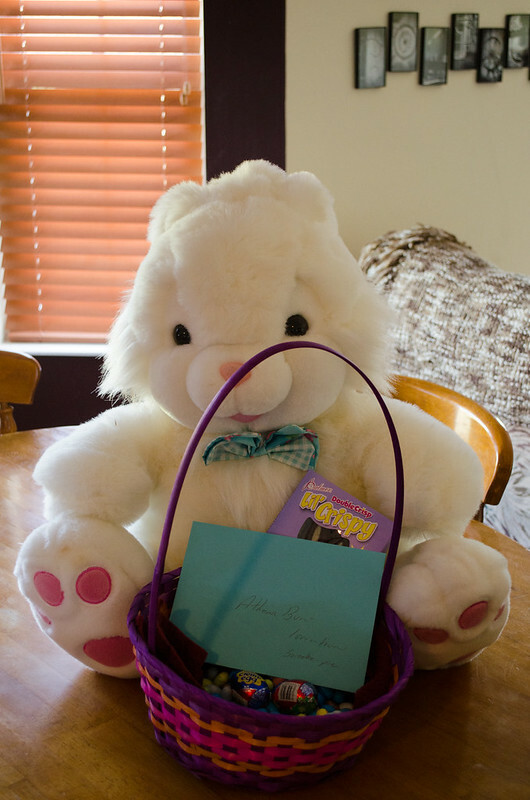 Every year since Athena was an infant, this particular Easter bunny has shown up with a basket of treats for her. And look! The bunny’s back! Good to see some things don’t change. A very happy Easter to those of you who celebrate it. And for those of you who don’t, have a wonderful day anyway.